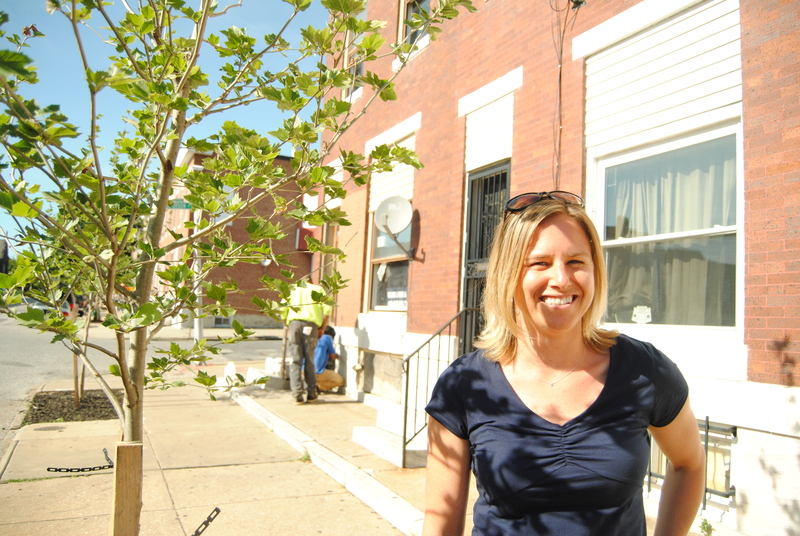 Baltimore is known as the “city of neighborhoods.” Kristin Baja, the new Hazard Mitigation and Adaptation Planner for the city, is working on learning the names of all 225 of them. She’s eight months into job and doing pretty well so far—as we drive around the city, she’s rattling off names: Patterson Park, the Middle East, Four By Four (which is actually a four block by four block square), Oliver, Ellwood Park. Easier than memorizing neighborhoods, though, is figuring out what areas of the city are in need of more tree canopy. These are the areas with no respite of shade during extreme heat events. “We’re conducting a vulnerability assessment to help inform our planning process; however it’s pretty obvious which neighborhoods are in need of trees just by walking through them,” Baja said. We’re driving down streets that, in fact, are completely devoid of canopy. It’s around 5 o’clock, and the buildings are casting square shadows on the streets. Midday, though, there’s no hiding from the sun. To address the tree canopy shortage, in 2006 the then-Mayor set a goal to double the urban tree canopy to 40 percent by 2037. 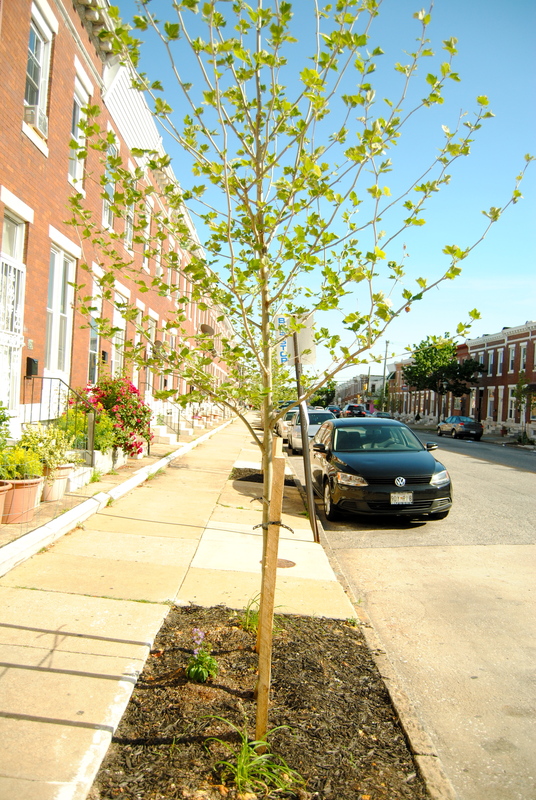 With the current canopy at 27.4 percent, the City is trying to coordinate both public and private tree planting efforts under the umbrella of TreeBaltimore, run by the Department of Recreation and Parks’ Urban Forestry Division. An important part of this effort is to ensure that new trees are planted where they are most needed. Many are going into the ground already, at a rate of 3,000 per year since 2009. 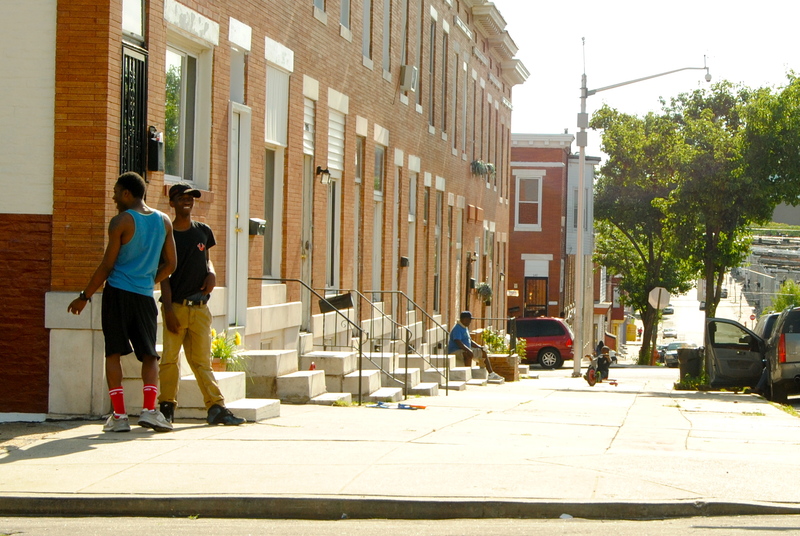 “The urban heat island is a big problem in Baltimore. The tree canopy is extremely limited the closer you get to city’s core,” Baja told us. The urban heat island effect occurs when built-up areas absorb more heat than the surrounding rural areas. 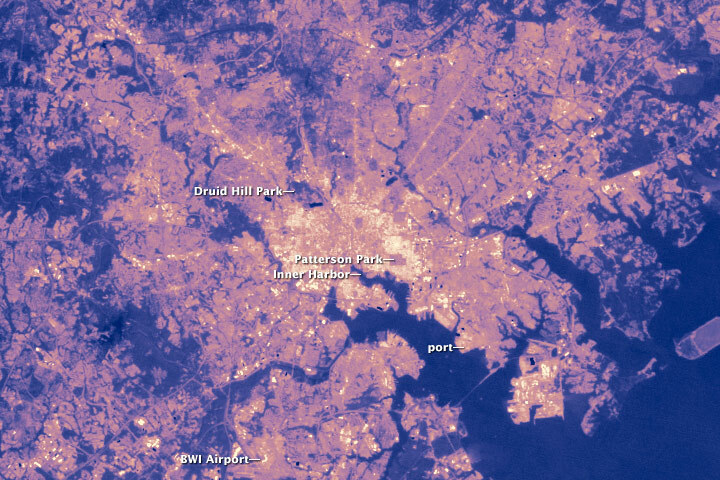 In 2008, an analysis by NASA showed that Baltimore’s land surface temperature can be as much as 50 degrees Fahrenheit hotter in the city center when compared to the surrounding temperate forest. 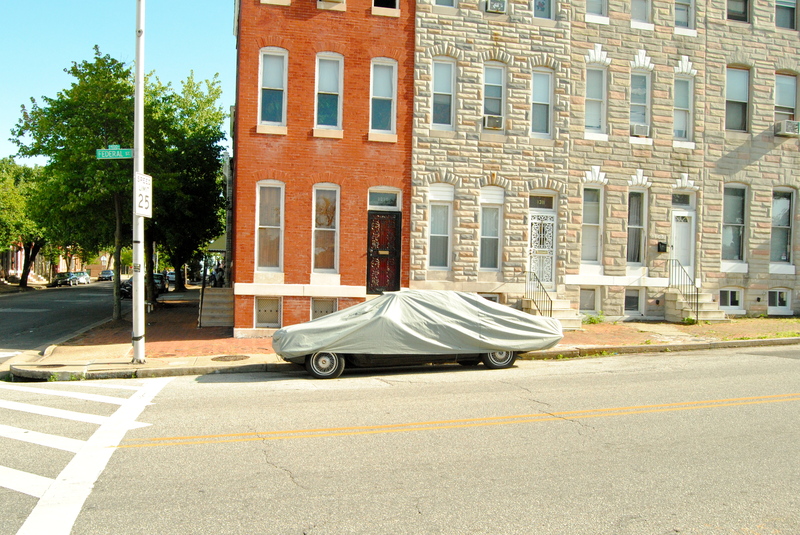 Without accounting for the Heat Index, the City’s Climate Action Plan predicts that Baltimore will experience between 15 and 35 days over 100 degrees Fahrenheit by 2100, as compared to the average 5 days per year at the end of the 20th Century. These predictions are especially concerning for Baltimore’s vulnerable population of elderly, poor, and homeless residents. Tree canopies can lower direct temperatures up to 9 degrees Fahrenheit, but they also have many co-benefits. They absorb air pollutants and stormwater, plus they cool buildings, reducing energy bills. Canopy can also make neighborhoods safer. 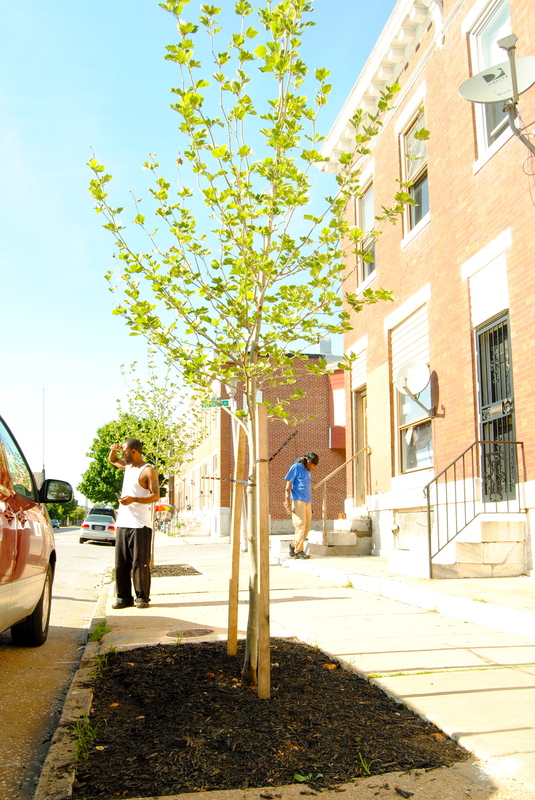 A 2012 study showed that a 10 percent increase in Baltimore’s tree canopy reduced the neighborhood crime rate by 12 percent. 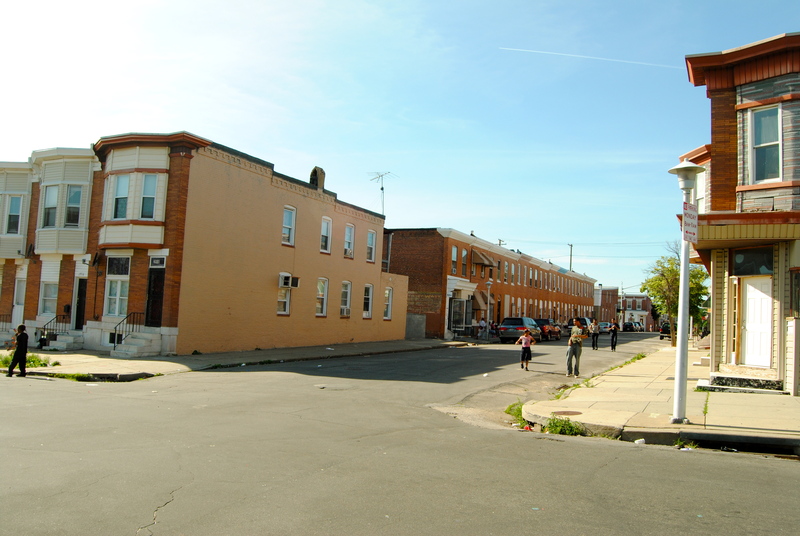 A young resident of North Luzerne Avenue told Baja that the trees recently planted on the block had changed the way people in her community were talking to each other, and that she actually felt safer. Despite the many benefits that urban canopies provide, there are a few big challenges when it comes to getting trees in the ground. “In some areas people don’t want trees. They think more trees will result in more debris that they’re responsible for cleaning up,” Baja told us. Keeping trees healthy is also a challenge. Of the 2.6 million trees in Baltimore, more than one quarter are distressed, dead, or dying, according to the U.S. Forest Service. As we drove through one neighborhood, Baja commented that a few young trees looked like they were in rough shape, even though the building next door was supposed to be maintaining them. To nurse trees back to health, the Baltimore Treekeepers, a group of about 40 volunteers, conducts trainings and tree maintenance around the City. “We are focusing on continued outreach in urban heat island neighborhoods, collaborating with community leaders to educate people about the long-term benefits of trees,” Baja said. Growing an urban tree canopy is inherently a long-term proposition. 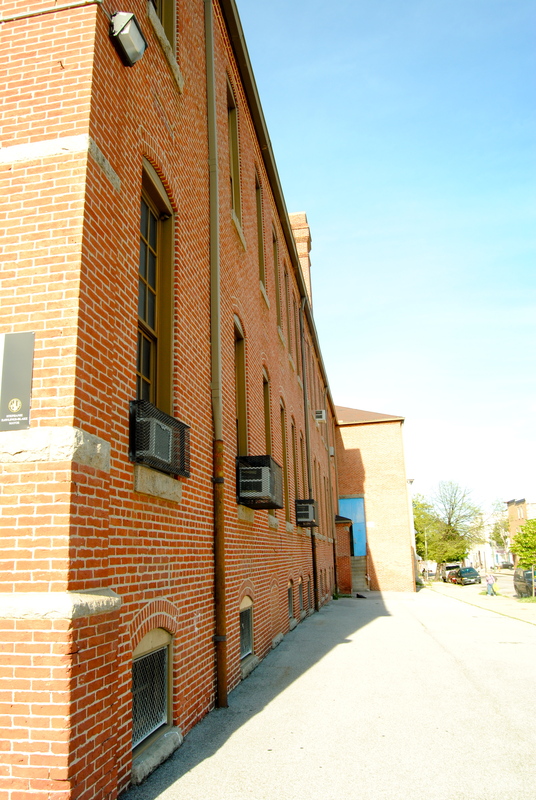 In the shorter term, the City of Baltimore is figuring out how to keep residents cool as the days get hotter. The Code Red Program started in 2008 as a special project run by the Baltimore City Health Department. 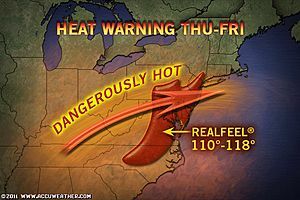 Days that register 105 degrees Fahrenheit on the Heat Index are designated ‘Code Red Heat Alert’ days. 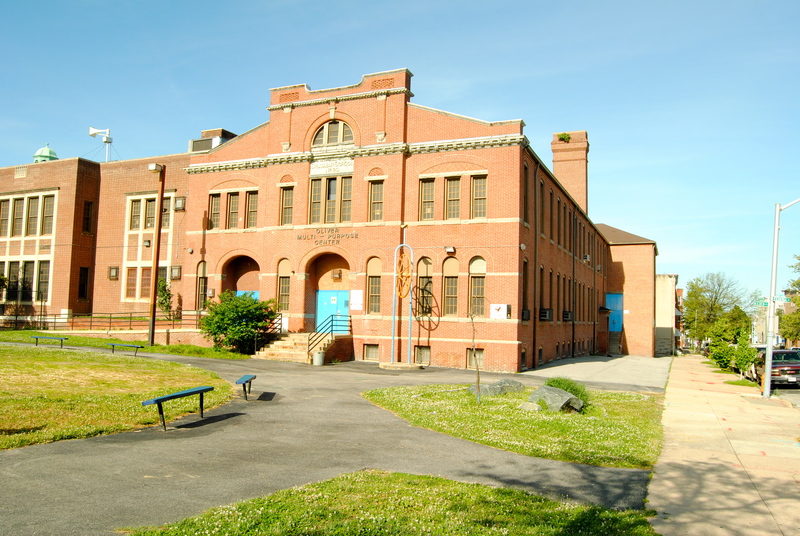 On these days, Community Action Centers and Senior Centers around the city serve as cooling centers—essentially large, public air-conditioned spaces where the Maryland Food Bank provides free bottled water. According to Martin, hundreds of people used the cooling centers last summer, but there are many more who could benefit from accessing them. In addition to a lack of media access, limited transportation and people’s underestimation of the cumulative effects of heat stress keep them from going to the centers. 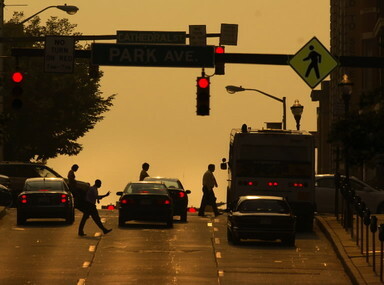 Heat-related deaths are tricky to diagnose, but in 2012, at least 13 people died from heat-related causes in Baltimore. This year, the Health Department is focusing on getting the word out, especially during multi-day heat waves. In addition to an official launch of the 2013 Code Red season on a hot day in May, Code Red information is shared with 311 information line call takers, Health Department outreach workers, Community Emergency Response Team volunteers, and Mayor’s Office of Neighborhoods to improve the reach of public messages to stay safe in the heat. During extreme heat or extended heat waves, a tool called Reverse 911 can send automated messages recorded by the Mayor to all residential landlines. Martin emphasizes that Code Red is an emergency response program—it’s not intended to mitigate the urban heat island effect, but rather respond to its impacts. However, the program is part of Baltimore’s new effort to combine hazard mitigation and climate change adaptation planning by overlaying planning for natural hazards, like heat, with an understanding of how those hazards might change in the future. Baltimore is one of the first cities in the country to marry these two concepts, and the Planning Department has secured a year and a half of funding for the effort, which engages officials across the city. 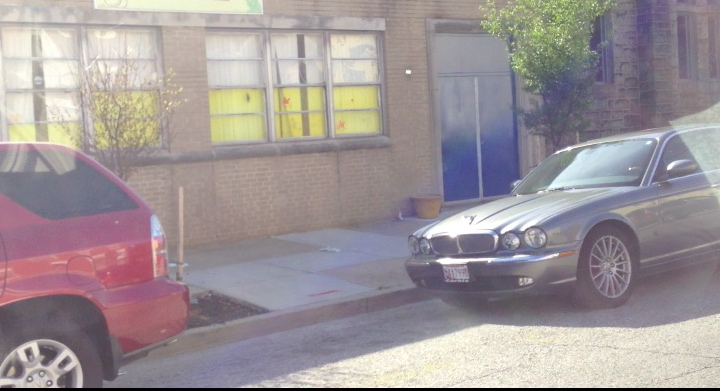 By the time the Plan is complete, Baja should have mastered the names of all 225 neighborhoods in Baltimore, and the city’s recently planted saplings should be a year-and-a-half stronger. 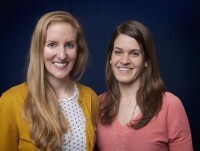 Great graphics and photos with this article!